The demise of my first Canon EF 50mm f/1.8 II lens was an unfortunate one. First, I dropped it – which is OK. It happens. Still recoverable, I know. Until, clumsily, I stood on it too. And, just to be sure it was finished, what was left of the lens then rolled down a small hill. When I caught up, I scooped it up in my hands, all scratches and broken glass. It was my first, and I was gutted. Nevertheless, after what seemed like an appropriate period of mourning, I did what any photographer would. I bought something newer, and shinier. I decided to graduate to a Canon EF 24-105mm f/4L IS USM. From there it was all systems go, zooming in and out of those hard to reach spots and enjoying the freedom that a versatile medium-range workhorse affords. And despite the occasional bashing here and there, its been my go-to lens ever since. Recently, however, I acquired another Canon EF 50mm f/1.8 II. Just like my old one, but much less crunched. So I decided to see what going back to a prime lens would be like. Especially after relying so heavily on the reach of the Canon EF 24-105mm f/4L IS USM. Here’s a quick rundown on my week with the Canon EF 50mm f/1.8 II and why a break from your old favorite can be surprisingly beneficial. The first difference I noticed after clicking the Canon EF 50mm f/1.8 II into place was the weight, or should I say, the lack thereof? The bulk of the Canon EF 24-105mm f/4L IS USM was enormous compared to the little ‘plastic fantastic’ (as the Canon EF 50mm f/1.8 II has come to be known). Photographing with the Canon EF 50mm f/1.8 II, I had a lot less neck pain, which meant I could stay out shooting for longer without needing some painkillers. Okay, I’m not that athletic. However, being able to move allowed me to line up shots with more ease. The technical differences between Canon EF 24-105mm f/4L IS USM, and the Canon EF 50mm f/1.8 II took some getting used to – zoom being one of the most pronounced. Instead of getting closer to a subject in-camera, I needed to reassess what I wanted to achieve. This meant strategically positioning my body to get the shot. Sure, I walk around seeking out subjects to photograph all the time. But, with the Canon EF 50mm f/1.8 II, I needed to be just a little more active to get the image I was after. Sticking with the Canon EF 50mm f/1.8 II got me thinking about the physical and mental elements that come together to create a successful shot. It made me slow down and appreciate the machinations of photography and the tactility of the image-making process. One of the biggest differences between the Canon EF 24-105mm f/4L IS USM and the Canon EF 50mm f/1.8 II is written in the name of the lenses themselves. It’s aperture. While the Canon EF 24-105mm f/4L IS USM can manage a valiant F/4, it doesn’t quite cut the mustard compared to the Canon EF 50mm f/1.8 II, opening up to an aperture of f/1.8. What does this all mean? Basically, the Canon EF 50mm f/1.8 II can allow a lot more light to pass through to the camera’s sensor. That’s a big deal in low lighting conditions. For example, shooting at night with the Canon EF 24-105mm f/4L IS USM may require a much slower shutter speed or higher ISO value to achieve the same exposure the Canon EF 50mm f/1.8 II can at a faster shutter speed and a lower ISO. This means that the Canon EF 50mm f/1.8 II can produce much better image quality in low light. Photographing in darker environments can be challenging. But the Canon EF 50mm f/1.8 II allowed me to experiment at different times of the day without having to worry about available light. Of course, its a consideration when calculating exposure, but I was a lot less concerned about clogging up my images with insane amounts of noise than I would be with the Canon EF 24-105mm f/4L IS USM in the same conditions. Another benefit of the ample aperture of the Canon EF 50mm f/1.8 II is its versatility when coupled with a set of extension tubes. 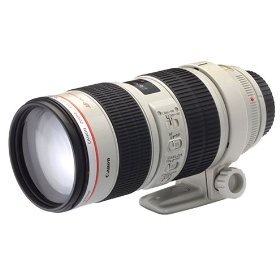 Extension tubes physically move your lens away from the focal plane. This makes the minimum focusing distance (the shortest distance at which a lens can focus) smaller, meaning you can get closer to your subject while still maintaining focus. It’s a way to shoot macro photography without an expensive dedicated lens. However, extension tubes do have their drawbacks. One of them being diminishing the available light in a scene. With the addition of each extension tube, less light is able to reach the camera sensor. This drop in light can be difficult to contend with if you don’t have a tripod and a perfectly still subject. A fast lens like the Canon EF 50mm f/1.8 II is ideal in this situation. Even on a terribly overcast day, I was able to get some nice, sharp shots at a decent shutter speed. It meant that I could hand-hold my camera to take macro shots that may have required a tripod with the Canon EF 24-105mm f/4L IS USM. One aspect of the Canon EF 50mm f/1.8 II lens that I was eager to experiment with was its capacity for bokeh. A Japanese word meaning ‘blur’or ‘blurry’, bokeh refers to the quality of the out of focus parts of an image. The term is often used to describe how unfocused bright points in a scene are rendered as disks of light in a photograph. While all lenses are capable of bokeh effects, zoom lenses tend to smooth a background over rather than shape it. Prime lenses, on the other hand, deliver a more defined disk-like bokeh result. In addition, bokeh requires the lowest possible aperture value to take full effect. This makes the maximum f/1.8 aperture of the Canon EF 50mm f/1.8 II ideal for some sweet bokeh magic. Seeking out opportunities for bokeh made me re-evaluate my surroundings. I had to quickly develop an eye for points of light that I could use to disperse into globes of color. But with the ease that a small camera lens affords, the little ‘nifty fifty’ produced some really fascinating results with little effort on my part. There are plenty of other comparisons to explore between the Canon EF 50mm f/1.8 II and the Canon EF 24-105mm f/4L IS USM. I know, a week isn’t a very long time to truly get accustomed to a new piece of equipment, but challenging myself to a week of prime-lens-only photography was a lot less difficult than I thought it would be. In fact, it was pretty fun! Up until now, I’ve been a one-camera-one-lens kinda gal. But playing around with the Canon EF 50mm f/1.8 II made me think twice about my equipment repertoire. And with the weight and maneuverability of a small mammal, captivating bokeh and such a tight performance in low light conditions, I think I might just add it to the camera bag too. Just in case. Without stepping on it this time. Do you use the nifty fifty? What are your thoughts?